Sadly, Bev Engel passed away in 2009 after battling lung cancer. Her contributions to the field of early care and education are extensive. She is sadly missed by family, friends and the many dedicated people she has worked so closely with. 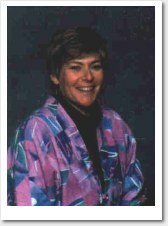 Bev Engel taught and consulted in the field of Early Childhood Education for nearly thirty five years. After beginning her career as a preschool teacher, Bev became a tenured faculty member of the Early Childhood Education Department at Vanier College in Montreal, where she taught early childhood curriculum design and implementation and supervised students in fieldwork practice. She was a full time consultant to both educational and business organizations after she moved to Maine in 1992. Bev offered workshops and seminars in a variety of areas. She guided child care centers and school systems in re-energizing and reorganizing existing early childhood services so that they reflected developmentally appropriate practice and current thinking in the field. Bev held a Bachelor of Arts degree in Early Childhood Education from Sir George Williams University (Montreal), a Master of Arts in Organization Development and Leadership from Goddard College (Vermont) and a Graduate Diploma in College Teaching from McGill University (Montreal). She had done advanced training in Human Interaction and Conflict Management and was certified in the administration and application of the Myers-Briggs Type Indicator.